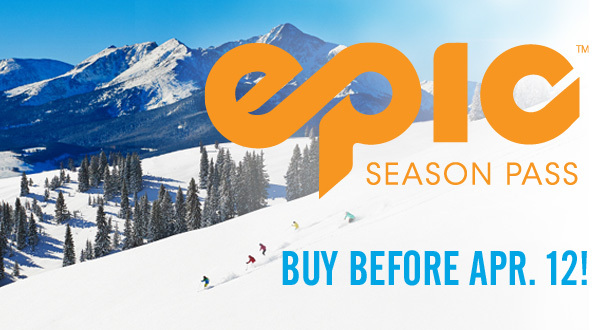 The ski and snowboard season isn’t even over and you’re already hearing about the 2015/2016 Epic Pass being on sale. Let’s be real, for many people, next season’s not even on the radar yet. But here’s why the Epic Pass should be. The last storm missed the Vail Valley, but a second one could drop a few inches by the time lifts close on Saturday. Next week, during the 2015 World Championships, we have another solid chance of snow mid-week. The entire Vail community offers our heartfelt congratulations to hometown hero, Olympic and World Championship gold medalist, and Vail Resorts Epic Pro Team member, Lindsey Vonn, on achieving World Cup history by winning her 63rd individual World Cup race today at Cortina d’Ampezzo in Italy! To celebrate, Vail Resorts is looking to reward other women who demonstrate the same strength, commitment and drive as Lindsey and are champions in their own right. For one week only, guests are invited to share a 30-second video online that nominates a special girl (must be at least 13 years old) or woman in their life who – like Lindsey Vonn – is “like no one on earth,” giving it her all each and every day. 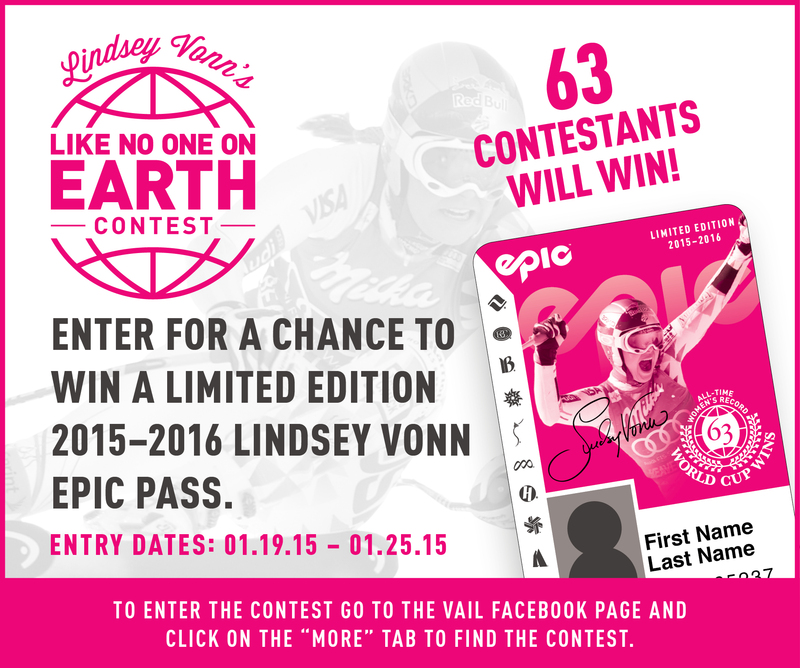 Sixty-three winners will be selected to receive a limited edition 2015-2016 Epic Pass. Three of these epic women and a guest will also be personally selected by Lindsey Vonn to win a complimentary trip to Vail, Colo. in late March where they’ll have the opportunity to meet her. For more details or to enter today, visit www.vail.com/LV63. Follow #LV63 on social media outlets like Facebook, Twitter, YouTube or Instagram to connect with Lindsey’s historic achievement. 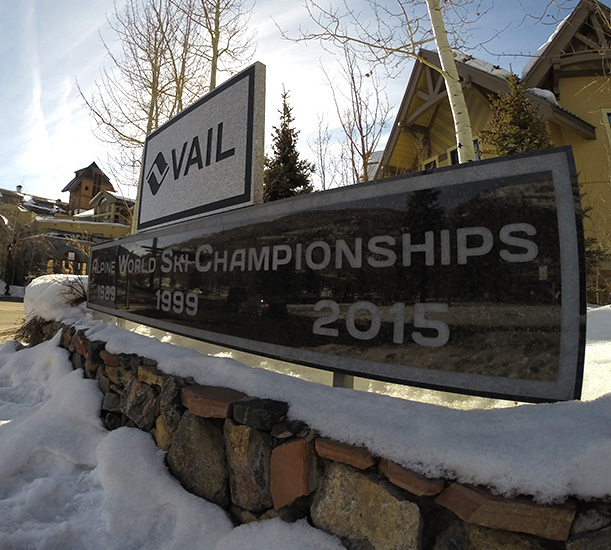 We put Lindsey Vonn behind the counter as a guest service employee-in-training at Vail. In just a hat and glasses, with a “Lindsey” name tag, you’d think she would be easy to recognize. Think again! The Epic Pass‘s reach is still growing as the winter 2013/2014 season approaches. 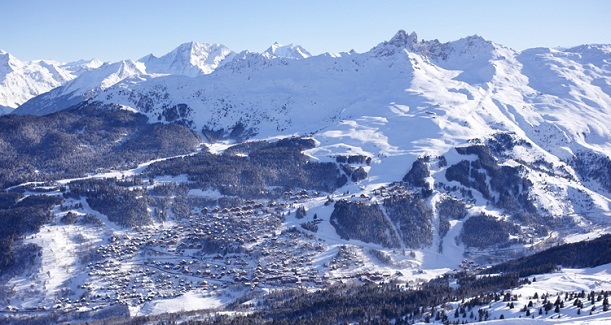 The Epic Pass (which includes unlimited skiing at Vail +9 other resorts) now allows 5 free days at the largest ski area in the world: Les 3 Vallées, France. Great news, mountain bikers! Gondola One will open for bike hauls this weekend as well as for scenic rides and lunch at Sarge’s barbeque. Canyons Resort in Utah is now Epic! Epic Pass holders rejoice: your pass is now valid at Canyons Resort in Utah!